An international partnership of research institutions that operates a digital repository containing millions of volumes from partner institutions, including over 400,000 Cornell University Library books digitized as part of the Google Books Library project. 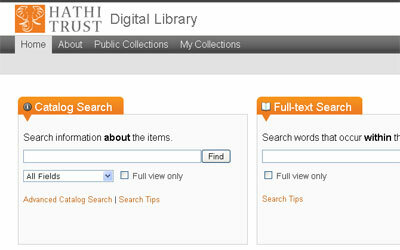 HathiTrust's mission is to preserve and provide access to the published record in digital form. HathiTrust will ensure the long-term preservation of the materials from Cornell and the other partner institutions. It also makes public-domain materials available and offers enhanced services, such as image quality checking, copyright review, catalog and metadata correction and full-text access to those with print disabilities.